ASHKELON, Israel (RNS) — The moment Judy Spanglet heard the words “Color Red” come over Israel’s incoming-rocket alert system, she rushed into her apartment’s concrete-reinforced “safe room” and bolted the heavy door. Moments later her building shuddered as a Grad rocket landed in a park across the street. The rocket damaged the other side of Spanglet’s building but caused no injuries. “I thanked God that we weren’t hit and, later, that no one was hurt,” said Spanglet, a resident of this seaside city eight miles from the Gaza border. 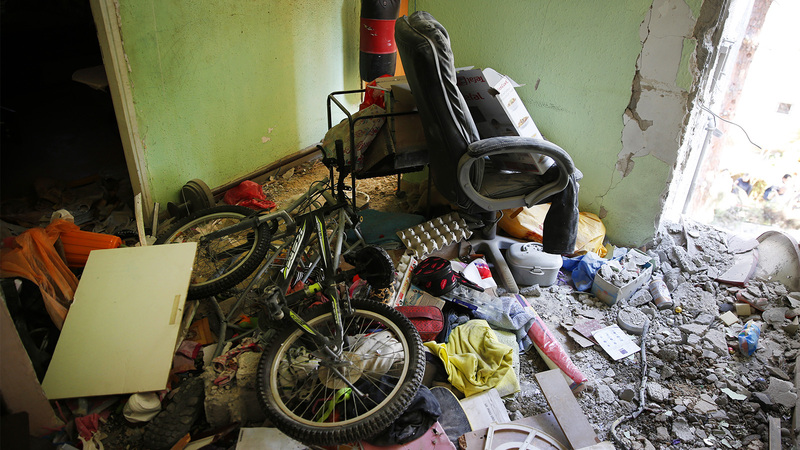 The interior of an apartment building sits destroyed after being hit by a rocket fired by Palestinian militants from Gaza, in the southern Israeli city of Ashkelon, Israel, on Nov. 13, 2018. Gaza militants fired more than 100 rockets at southern Israel early Tuesday, killing a man in a strike on a residential building, and warning they would escalate their attacks if Israel continues bombing targets in the Gaza Strip. (AP Photo/Ariel Schalit)Last week, Spanglet and many others on both sides of the Gaza-Israel border relied heavily on their faith to cope with the most recent violent escalation. On Nov. 11, a clash between an undercover Israel Defense Forces unit and Hamas fighters in Gaza left seven Palestinian fighters and one IDF officer dead. Palestinian militant groups retaliated, launching 450 mortars and rockets at Israeli border communities. The attacks killed a Palestinian man living in Israel and sent more than 100 Israelis to area hospitals. Then Israel bombed targets in Gaza before both sides agreed to a tentative cease-fire. Spanglet, an Orthodox psychotrauma therapist who has researched the role that faith and spirituality can play in treating traumatized patients, said having a belief — in whatever form — helps people deal with overwhelming events and reduce feelings of helplessness. And that, the therapist said, can help build resilience. 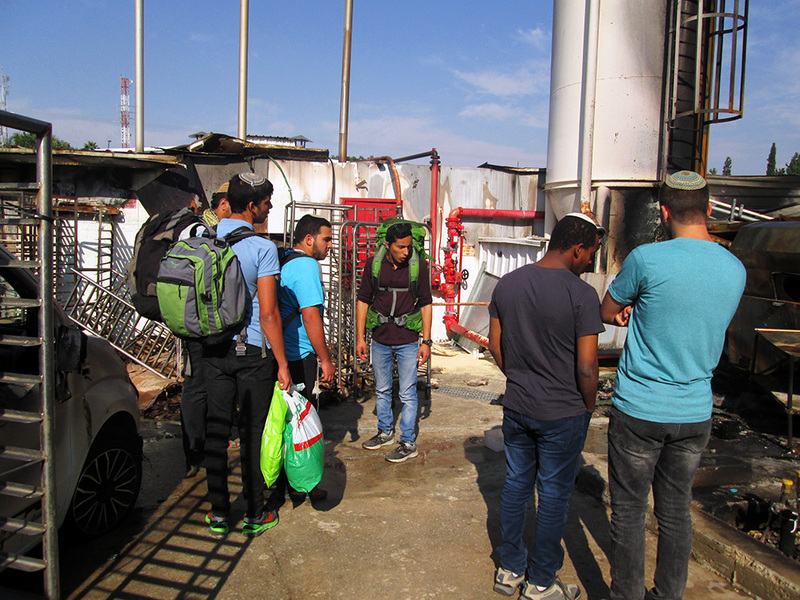 Students from a post-high-school yeshiva in Sderot check out what remains of a bakery that was hit by a rocket or mortar fired by Gaza militants. RNS photo by Michele ChabinIn Sderot, a border community where brightly painted above-ground public bomb shelters are as plentiful as park benches, Harel Bashary and some friends checked out the remains of a bakery destroyed by a rocket. Bashary, who is studying in a post-high-school yeshiva in Sderot prior to starting his mandatory military service, said his belief in God has helped him weather the latest rocket barrage. During the bombardment, spending long hours in the yeshiva’s bomb shelter, the students intensified their Torah study, “because we believe in the power of the Torah,” Bashary said. When Atara Orenbach, also a Sderot resident, realized rockets were headed toward the town, she quickly asked God to keep her family safe. Sderot is so close to the Gaza border, residents have just seconds to reach a shelter. Eighty percent of the town’s residents have in-home safe rooms. Her biggest concern was her youngest daughter, a fourth-grader, who had just gone upstairs to visit a friend and was forced to take shelter with the neighbor’s family. 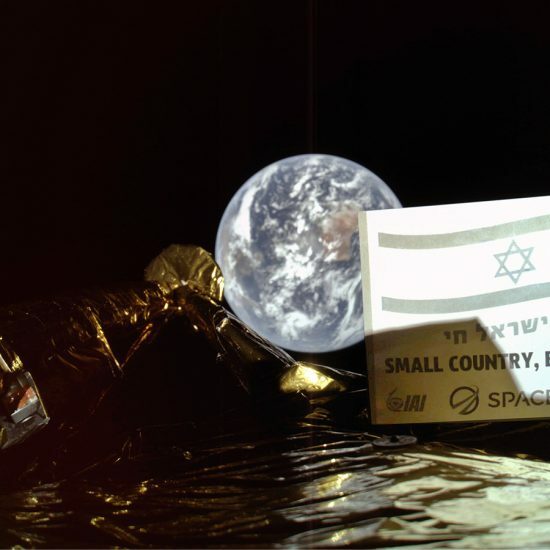 “It reminds me that God promised the land of Israel to the Jewish people and that we live here by right. No one can say Sderot isn’t legitimate,” she said, noting that the town is located within Israel’s internationally recognized borders. 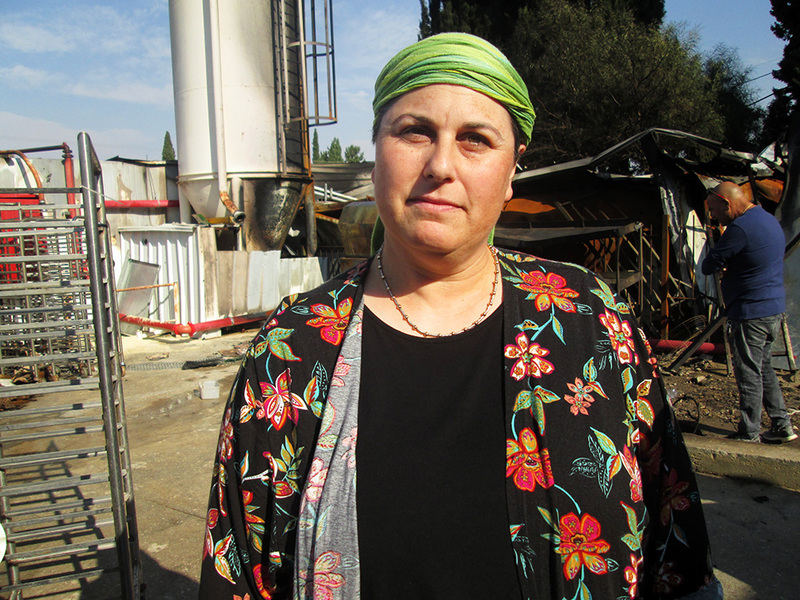 When Atara Orenbach, a resident of Sderot, realized rockets were headed toward the town, she quickly asked God to keep her family safe. Sderot is so close to the Gaza border that residents have just seconds to reach a shelter. RNS photo by Michele ChabinOn the other side of the tense border, where Palestinian demonstrators clash every week with Israeli security forces and send incendiary devices and explosives tied to balloons and kites into Israel, Rami Aman, a Palestinian, has placed his faith not in religion but in people. Aman’s faith began to evolve when he moved to Gaza with his family in 1992. He continued to attend prayers and lectures at the local mosque but was upset by the political messages imparted by the imams. “Unlike Kuwait, in Gaza there were politics in the mosque. Fatah and Hamas and Arafat and Israel. 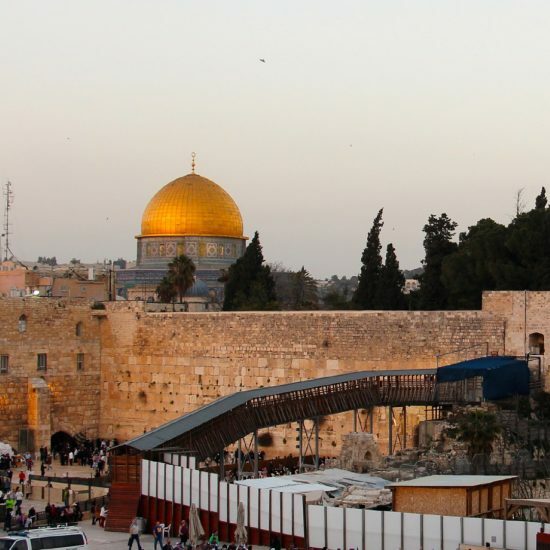 I only wanted to learn Islam, not that Israel was an enemy. I still prayed, but within myself,” Aman said. In 2014 Aman received a one-day visa to visit Israel, where he met with an Israeli activist. Together they organized Skype-facilitated meetings between Palestinians and Israelis. The participants reach out to their neighbors across the border, even during the worst of times. “I’d call that a miracle,” Aman said.